The British are coming, the British are coming, led by English-born conductor David Lockington. Edward Elgar mysteriously composed each of his 14 Enigma Variations with a particular friend in mind. The exquisite “Nimrod” Variation, performed for the opening of the 2012 Olympic Games in London, is heard at the end of the 2017 film Dunkirk. 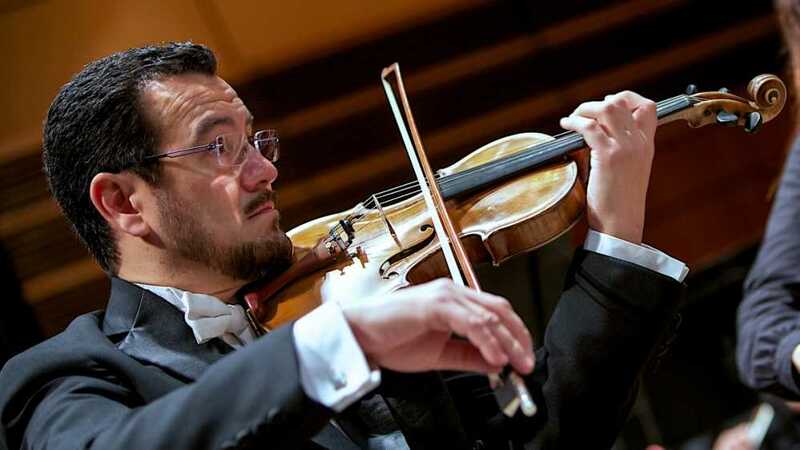 James Crawford, Concertmaster of the Grand Rapids Symphony, is soloist on William Walton’s Concerto for Violin, written for and premiered by the great American virtuoso Jascha Heifetz. Grand Rapids Symphony has previously performed several works by Philip Sawyers, a childhood friend of Lockington’s.